Contemporary life is full of disposable images and objects that pass through our lives only to be replaced by new ones. This exhibition brings together four artists who take ordinary images and objects as a starting point for their work. The transformation of the ordinary and the use of images in the mediation of everyday experience is a common conceptual thread within the works. 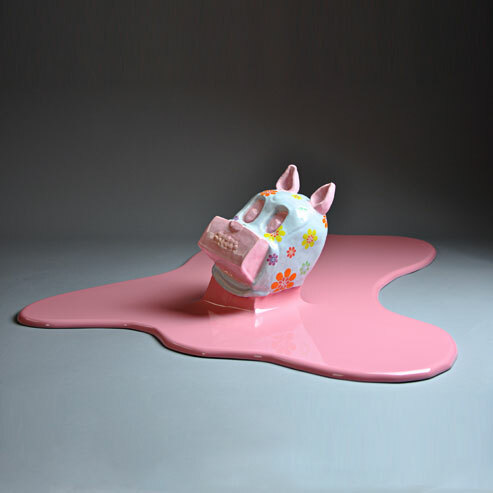 The pieces examine how pop culture images, kitsch objects, and clay vessels can be transformed through context, repetition and materials so that the original image become the root of a new image entirely. A cup becomes a building block and starting point, a teapot becomes an investigation of relationships and tools can take on emotional significance. The exhibition asks us to reconsider the world of objects and images that we take for granted.